The first day back from Spring break, students were greeted with the opening of the convenience store in the Union Building. The convenience store, run by Bon Appetit, is serving snacks to people on campus. It has foods ranging from hummus, to fresh food, to organic, and to microwavable foods. “We were trying to respond to the student work groups, which were put together during the late fall of 2015 to try to look at some specific needs,” Warren Whitesell, project manager, said. 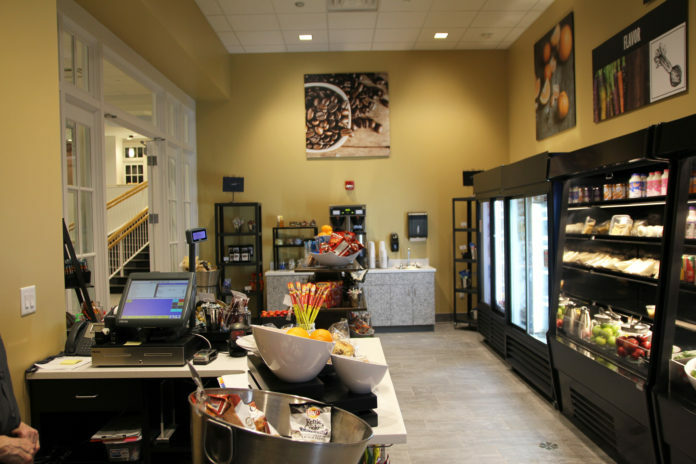 Part of the goal of the new convenience store is to replace the Den, which was closed last semester, and help facilitate transitions to different dining spaces on campus. There is also hope that the new store will create a community space for students in the UB. Additionally, there is hope that the new store will help the space develop more into a space for students. “We want to make the living room truly a desireable place to come and have options for activities and the convenience store is there to support the crowd” Whitesell said.